Eugene Vidal, throwing discus. Eugene Vidal papers, Box 4, American Heritage Center, University of Wyoming. Eugene Luther Vidal (1895-1969) was a man of many accomplishments. An engineer as well as an athlete, he graduated from the University of South Dakota and the U.S. Military Academy at West Point. 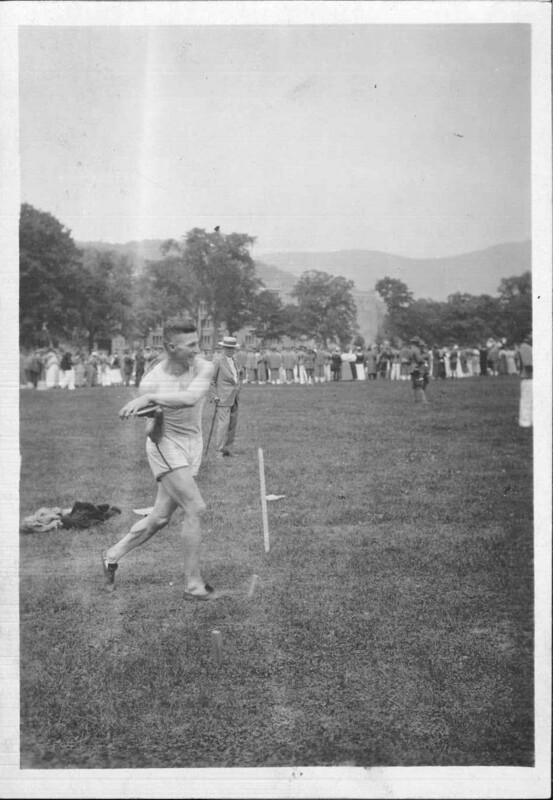 As a student he played on the baseball, basketball, football, and track teams and went on to participate as both athlete and coach in the 1920 and 1924 Olympics. However, it is his contributions to the field of aviation for which Vidal is best remembered. He began his career in 1918 with the Army Engineers Corps and quickly switched to the Aviation Division of the Signal Corps; where he qualified as a pilot and went on to serve as the first Army airman and West Point instructor of aeronautics. In 1926 he entered the corporate side of aviation and became the assistant general manager of Transcontinental Air Transport (later TWA). During this time, Vidal aided in the creation of Eastern Airlines and Northeast Airlines and served as an executive of New York, Philadelphia and Washington Airway Corporation and Ludington Airlines, Inc. He eventually organized the first hourly plane service between New York and Washington. Vidal’s extensive work in the aviation industry led him to develop a broad scope of professional contacts, including Charles Lindbergh, FDR, Amon Carter, and his business associate and close friend, Amelia Earhart. 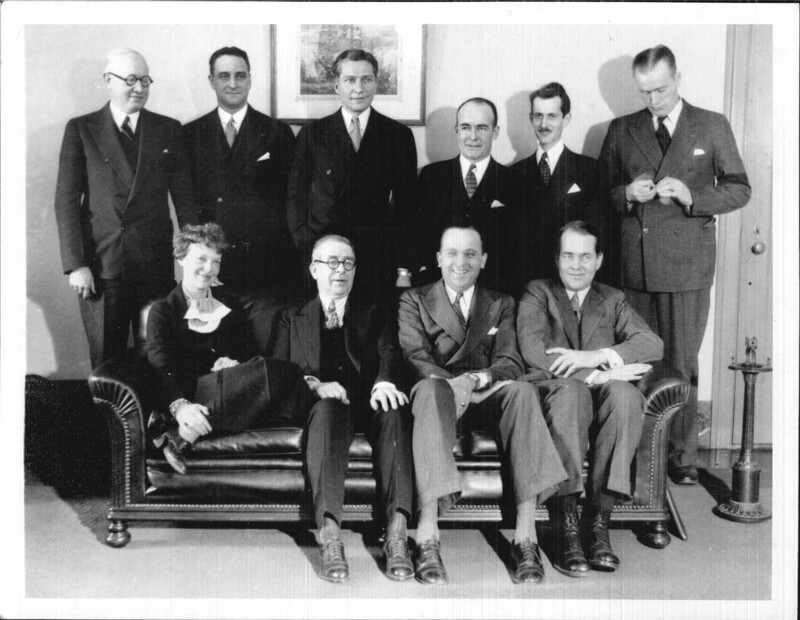 Eugene Vidal (standing, third from left) with others, including Amelia Earhart (at left on divan). Eugene Vidal papers, Box 31, Folder “Photos–Eugene Vidal and Others, 1934-1967, undated.” American Heritage Center, University of Wyoming. From 1933-1937 Vidal served as director of the Bureau of Air Commerce within the Commerce Department. 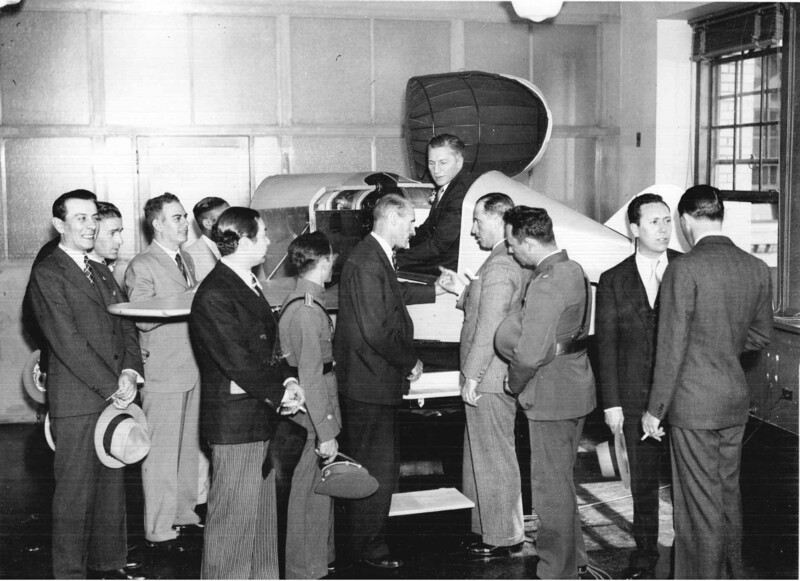 As director, Vidal pushed for expansion of civil aviation in the U.S. through the building of civil airports and beacons, production of small planes, support of private flying, progress within commercial aviation, and restructured the government’s role in commercial flights. Eugene Vidal with Latin American civil engineers. Vidal is sitting in the cockpit of the plane on display. Eugene Vidal papers, Box 31, Folder “Photos–Eugene Vidal and Others, 1934-1967, undated.” American Heritage Center, University of Wyoming. After leaving the Bureau of Air Commerce, Vidal returned to the corporate aviation field and experimented with fiberglass composites, eventually founding a small business devoted to trays and dinghies. He also invested in the Boston and Maine Railroad. Vidal encored his government service from 1955 to 1965, serving as aviation adviser to the chief of staff of the Army and retaining memberships in the Army Scientific Advisory Panel and the Transportation Corps Advisory Committee. Eugene Vidal was father to Gore Vidal, noted 20th century author. The Eugene Vidal papers were recently reprocessed and a new, updated finding aid is available for your research needs. This entry was posted in aviation history, newly processed collections. Bookmark the permalink. Thanks for your comment Bobby. I’ll need to take a little bit of time to research this and will post a reply to your original comment once that is complete. Hi Bobby. Having done more research into the Eugene Vidal papers here at the American Heritage Center, we unfortunately do not have much material that is directly focused on his engineering work. The blog post here is primarily based on the materials within the Eugene Vidal papers, which is why it is short in that area.